APASA is excited to announce our second APA Leader, Russel Hash! Russel is incredibly involved in the APA community as President of Nikkei Student Union, Vice President of MixedSC, a representative for the Intercollegiate Nikkei Council, and an APASS mentor. Read more about Russel and his impact on the APA community in his interview below! To me, being APA means I am part of a larger community, rich with many different cultures and traditions that I am fortunate to experience every day at USC. Being APA connects me with thousands of people across the nation as we share similar experiences and values as well as a loving and welcoming environment. I put in as much effort as possible for the APA community. As President of the USC Nikkei Student Union, I promote the Japanese American culture and support Japanese centred institutions such as Little Tokyo, the Japanese American National Museum, and the Japanese American Citizens League. I have helped produce two Culture Nights through Nikkei as well as educate others on the often overlooked Japanese internment camps of WWII. As the Vice president of Mixed SC, I try to connect with other students of mixed race, especially those with a half Asian background as we face different challenges than those of a singular racial background. I have volunteered for the Hapa Japan Festival and the Critical Mixed Race Conference and have led many discussions on what it means to be multiracial as well as promoting acceptance of multiracial people amongst other groups such as the APA community. I participate as a representative in the Asian Pacific American Student Assembly and promote their educational, cultural, and social events to the organizations I lead and am a mentor in the Asian Pacific American Student Services PEER program where I assist first-year APA students in academics, experience, or personal issues. My advice for an aspiring APA leader would be to connect and form as many relationships to as many people in the APA community possible, especially other leaders. Please do not limit yourself to only identifying as Japanese American, Chinese American, Korean American and so on, be part of the larger community and forms bonds with one another as we all face similar challenges on campus as well as throughout the United States. Collaborate with other APA groups as connecting with other APA student through joint general meetings and events is the best way to gain new memberships and form bonds which will last you throughout your collegiate career. 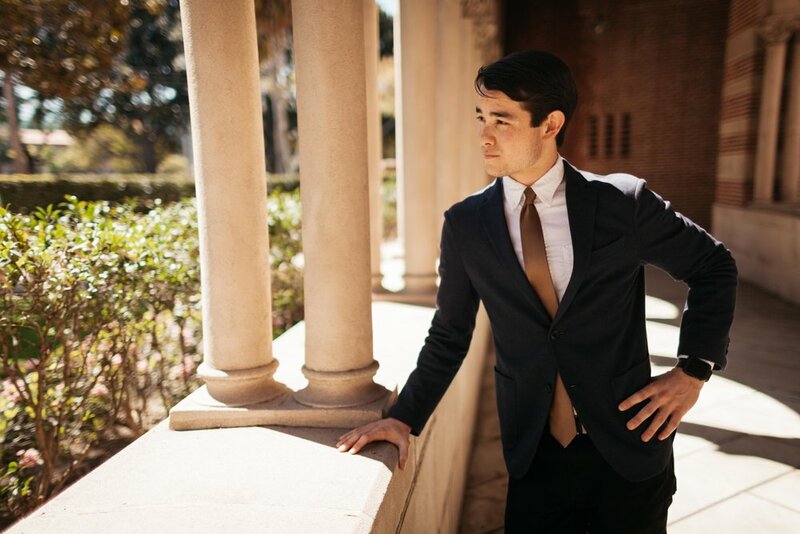 By the time I have finished my time here at USC, I want the clubs I lead to be known campus-wide as cultural and social epochs which are welcoming to every individual whether they are looking for friends of similar racial background or simply wish to educate themselves on a unique tradition. I want to establish a stable foundation for these organizations and ensure they will be properly led and funded long past my education. But most of all, I want to leave behind a legacy of cultural acceptance and community. I believe that just because we identify as one race or another, we shouldn’t close the door on any other community or ethnicity. I hope that those who are curious about Japanese culture join Nikkei, even if they are not of Japanese descent and I hope non-multiracial students experience Mixed SC if they’d like to educate themselves on what multiracial culture truly is and looks like. If I could give a Ted Talk, it would be on the topic of being Hapa and “white-passing”. Ever since really diving deep into my identity towards the end of high school, I really discovered what it meant to be multiracial but phenotypically Caucasian. Although I was raised in a Japanese American family and community, most people throughout my life have seen me as just white because that’s what I look like on the outside. Many are surprised to meet the Nikkei Student President when he doesn’t necessarily fit what they had in mind. It’s difficult not belonging to one ethnic community or another, even within the mixed community, we all have different mixes and different upbringings so we cannot fully bond the same way other APA communities can. It’s an odd sensation, having the option to put either “White” or “Japanese” down on a college application and then having your advisor instruct you to choose white as the other community is already well-represented enough. I have enjoyed the advantages of looking white as I am usually not looked at someone who is a minority and therefore treated another way. Throughout High school and college, many viewed me as either white or Asian depending on the situation. If I was playing football or participating in a political event, most saw me as white while if I was in my AP classes or in a business meeting, most saw me as Asian as these were the respected fields they expected to find that side of me, as if I could turn off half of my racial identity whenever I wanted to. I have only been asked “where are you from” in regards to my Asian nationality once in my life which I know is far more common for my peers. Being Hapa to me means I must work hard for acceptance in any group. I have been questioned regarding my qualifications to be the Nikkei Student Union President because I am not full Japanese and it pains me to have to defend my experience in the Japanese American Community. To me, being part of the APA community is not being of one race or identity, being APA means you embrace and honor a culture rich in tradition and history and work to promote your culture and educate others.